It's time to dance another day!" And to straighten out something for the record, last Wednesday we interviewed our current youngest student, 7-year old Becca, and asked her if the boys in class were nice to her. I was surprised when she answered "no!," and was relieved this Sunday to find out she thought I was asking about her school class, not dance class. She thinks all the dance class guys are swell. And so do I! I'm proud to announce that we have first for our Rhythm Club -- The Swing City Big Band. They have been playing around Los Angeles regularly, but it's our first dance with them. 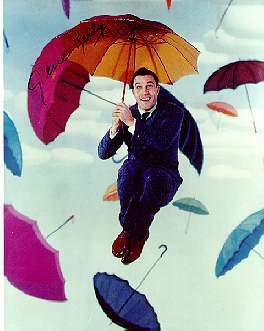 The bandleader, also a "Gio" and I spoke today, and he's greatly looking forward to playing for all of you. I also want to thank all of you for supporting live music at the Rhythm Club on such a regular basis. We're holding strong! The Rhythm Club opened its doors in April 2001, and has been going strong Wednesdays since. 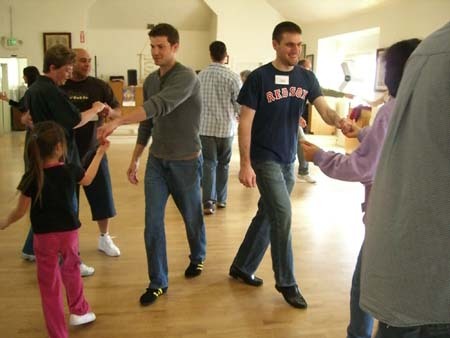 Hosted by Rusty Frank, the club averages 100 swing dancers each week, and is considered one of the friendliest clubs around, hosting a variety of dancers of all ages and dance abilities. The Rhythm Club is one of the very few surviving weekly clubs, and it is one of an even smaller handful that has a regular live music format. Take a look HERE for our new price schedule for classes. * Don't panic, it's only about $4 a series ($2 for the second class). Remember, when you pre-register online (or in advance) you save 10% off our regular prices. Using our online registration is safe and secure; we use Paypal as they have a solid reputation around the globe. It's very easy to use, and makes it easy for us here in the office, as well! *I try to keep the prices as low as possible, and haven't raised prices since 2002, but I finally had to do it: our rent is being raised at Rebekah Hall. Take a look at the new scrapbook to see what it was all about at the Jive's last Rhythm Club engagement. One of our friends, Christina, is in the midst of a LMU project where she has a brief "survey" for Lindy enthusiasts to fill out. She'll be at the club this week, and if you fill one out, she'll give you a great big smile and some candy! I filled it out, and it only took about 2 minutes. When we think about the dancers from the 1940's who really changed the face of our dance, one dancer who readily comes to mind is the great Jean Veloz. Now in her 80's, though you'd never know it!, Jean is as vivacious as she was back in "Groovie Moovie" (1943). Norman, the Photographer Extraordinaire, beat me to the punch as he posted his photos of our Event before it could be described. A month or more in the making, Tammy and Jerry Mancini, long-time swing dancers and cloggers, invited a few of us to dance at their fundraiser for Senior programs at the YMCA in Torrance, CA. Norman and Jes, Michael and Teresa, Jamie and Akiko, joined Tammy and Jerry for the dancing inbetween YMCA presentations. Special guests Gio and Mae Lae did their special competition-worthy routines with a couple of aerials. They drew gasps from the Y crowd as well as we mere mortal swing dancers. We were invited to stay as guests for the dinner and we do thank the Mancinis for their hospitality. We hope to do more of these in the future. Ever notice how Norman appears behind the camera and rarely appears in front of it?! 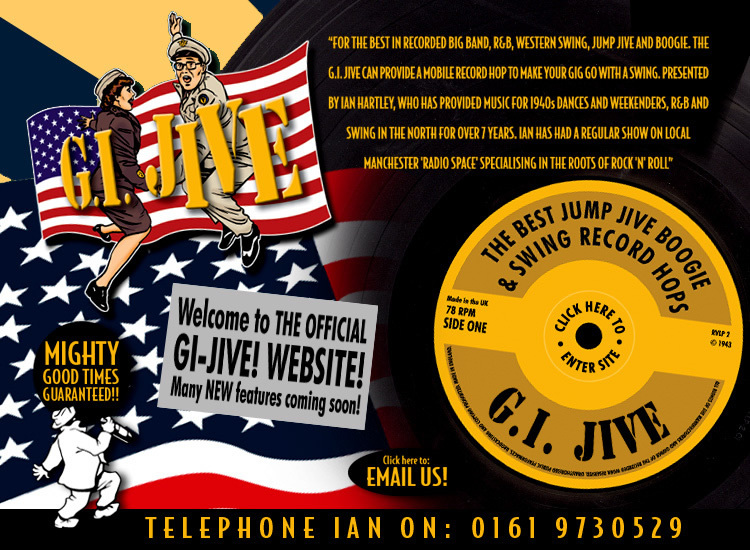 G.I.JIVE This site is one of the most fun you'll see around, put up by our lindy hopper friends overseas - Ian and Sheilagh Hartley. If you want to take their classes, you'll have to travel a bit... It's fun to see what people are doing on the other side of the globe.